Of all the dogs we've seen, Mercedes is the luckiest, by far. She started out by losing an eye to an unfortunate cat scratch. Her owner spent lots of time and money to try and save her eye, but in the end it was lost. Then, she found a way to wiggle through a fence and leap off a second story balcony. 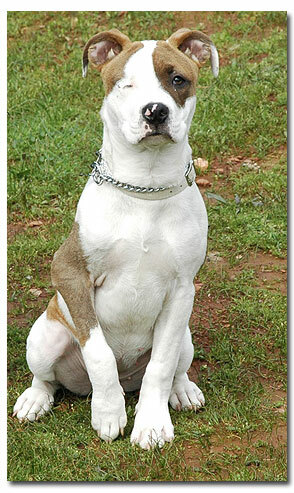 Her owner was devastated and could not afford the extensive surgery and rehabilitation that Mercedes required. When it looked like Mercedes had reached the end of her short life, Alison saved her. She took little Mercedes, adopted her, paid for all her surgery and performed her rehabilitation and follow up care. With a fairy tail ending, Mercedes is now living in a super home and is much loved by her new family. She was a special little dog that touched us all. Flash found her home. She is such a special girl that we were delighted when she found a wonderful home in the country where she could be happy and peaceful. This poor girl spent a year living in a horse trailer and was so unsure when she came that she would hide in her dog house. 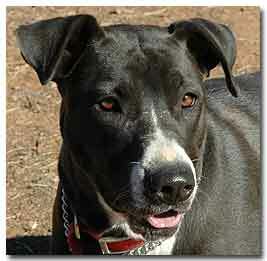 But now she is confident and has the loving home and family she deserves. Good bye, Flash! We miss you and hope you might come back for a visit. It seemed like yesterday that little Roxie came to stay with us. But it was a month and she did well in school. Roxie was all about being with people and was always just bursting to run and say hello to anyone that even glanced at her. She was enthusiastic in school and her favorite was the group classes where she got to meet people and play with the other dogs. But she put a small tear in her trainer's eye because she is the first graduate to turn around and look as she left. You have a great family and home now, Roxie! You earned it. Good luck, little girl! Little Molly has had a rough life. When she came to us, all she could do was hide behind her dog house. But she warmed quickly to her trainer and just wanted to trust people again. Her guardian angel was watching because within a week she gained confidence, a good friend in her trainer and left to a wonderful new home. This little dog and adoption was special and is what this program is all about. Farewell and be good in your new home, Molly! And continue to learn to trust people again. 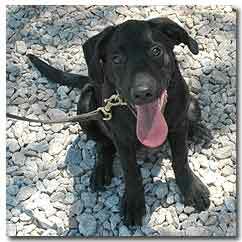 We first met Thor when he came out from the CHS folks for a temperament test. He passed with no problem, he was just another dog that no one bothered to teach any manners to or spend time with. He was very lucky that the CHS pulled him from the shelter. When he arrived to become part of the program, it didn't take him long to work his way into our hearts. Such a nice guy... You made it, Thor! I wish I could have said goodbye, but be good and maybe can come back to see us sometime. Our happy guy Gus found a great home. He always loved to play and just hang out. Training and walks were great, but he really was all about just being with people. He was dropped off at the Amador shelter into the night box. Poor guy probably just thought he was going for a ride. But things happen for a reason and now he has his own family. And it gets better because not only does he have a couple of kids to play with, but they have another dog to be his buddy. Good luck Gus! You got very lucky, so be good and mind your manners. 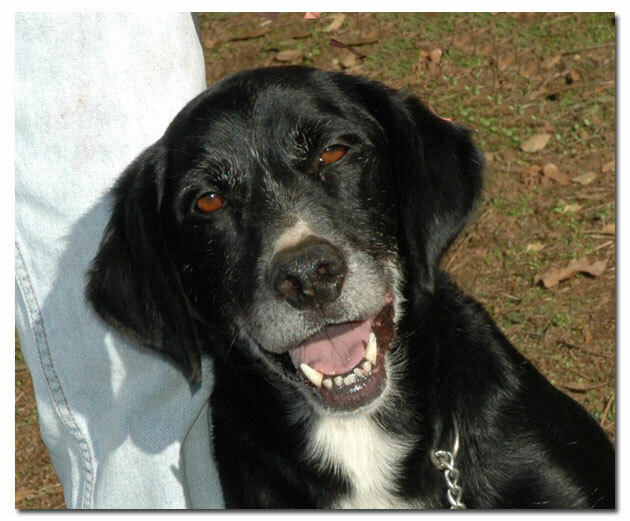 Shadow's world turned upside down when he was surrendered to the Calaveras shelter. 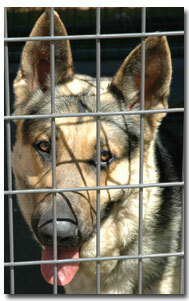 But his luck started to turn when he came out to join the Second Chance program. He tried hard in training, loved to go for hikes and play, but all he really wanted was a home. 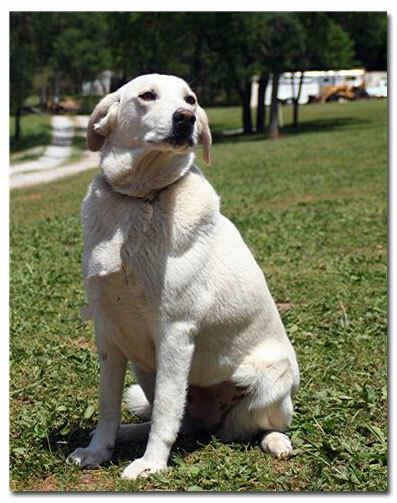 Every time a car drove up or when a visitor came, he was all wags and wiggles hoping they had come for him. That day finally came, and now he has his own family. He happily leapt into their car and never looked back as they drove off. But we'll miss him. Goodbye and good luck Shadow! Mit was in and out of here in a flash. Well, it seemed like that, but it was really two weeks. What a lucky guy Mit was! 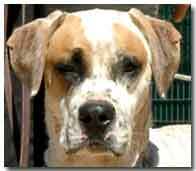 He was surrendered to the Calaveras shelter by his owner of many years. They said they found him as a puppy in a bag along the road. But bad fortune hit them (and Mit) and he found himself with no where to go. 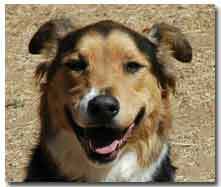 The Calaveras Humane Society found him, then brought him to us for testing. Margaret saw the heart in this handsome guy and pulled him herself. The rest is history and Mit got his second chance and now a new home. Goodbye Mit, we truly hope you come back to keep your training up! Ms Tess was with us for a long time. In fact, she wins the prize as our longest staying resident! That was no problem because she was such a pleasure to have around. But we just could not understand why she had not been adopted. Her obedience was great and she loved to play fetch. Then a problem arose. There was a crisis at the Calaveras shelter with over crowding and in order to try and save another dog, Tess was scheduled to be transferred to a shelter in Reno. We were all sad when a miracle happened. During a field trip into town with a client dog, we made one of our usual stops at the Jackson Cleaners. We took Tess along in the hopes someone would see her and fall in love. While at the cleaners we talked about her and the impending transfer when they offered to foster her. Great news! Then the miracle happened when they went ahead and allowed to join their family. Sometimes good things happen when least expected, and this is one! Goodbye lucky girl and farewell with you new family! Pops was a guy that couldn't get a break. But to see that sad face turn into one of our happiest and favorite students was something special indeed. He is a star that just needed a second chance and someone to care. His abilities surprised us all; he even turned out to be a great little tracker! 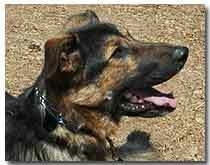 Now thanks to training and special friends like Becky he is off to a wonderful new home and a second chance at life. Be good and try hard Pops! Maybe we'll get to see you again in a training class! Bodie, like Bear, was a monster when he first came. He loved everybody but the only way he knew to get attention was to jump up, bark and run around everywhere. Underneath that nutcase exterior was a truly nice dog. All he wanted to do was please and get some attention and maybe a little play. We also found out that he loves kids! He carried his weight in school in that he help socialize both Tess and Pops. So goodbye and good luck, Bodie. Be good and remember, no jumping! Thunder came to us at the end of Sept. 05. He was from the Calaveras Humane Society. 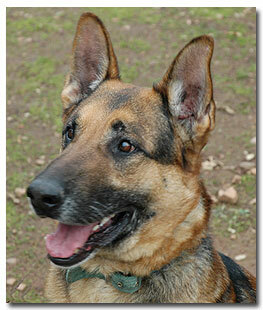 Since he first arrived he showed the attitude that makes working with dogs very rewarding. He wasn't perfect, but wanted to learn and was full of mischief sometimes. He settled right in, did well in training and became our official "roommate" dog. He loved to share his kennel with anyone that would play with him. Now he has a wonderful home with his own family and a couple of other dogs to play with! Goodbye Thunder, be good in you new home and maybe you can come back for a visit or group class, sometime. Ms BeBe arrived only a couple of weeks ago at the end of Oct. 05. The Calaveras Humane Society brought her out. This was not only her second chance, but was her last. Well, she proved to be a nice girl that just wanted to be loved. She was willing to learn and once she understood the process she made great progress. In record time, she was off to her new home with a family and her own fenced yard. Good luck, BeBe, you deserve this home. Be good and we'll follow up to see how you're doing! 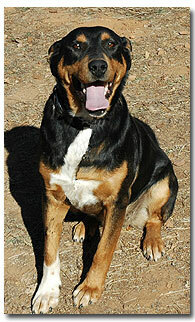 Bernard is a lucky guy that received his second chance and made it with a home of his own! 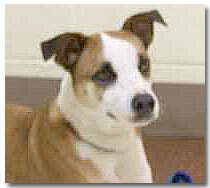 The folks at Amador Animal Control saw through his manners and hoped he could be trained and live a good life. Well, he proved them right. During his stay at school he went from an unsure scared guy to a confident happy dog that couldn't wait for his next lesson. And he holds our school record for the highest jumper! Good luck, Bernie! Be good in with your new family! Mr. Bailey has finally had his wish granted, a home of his own. 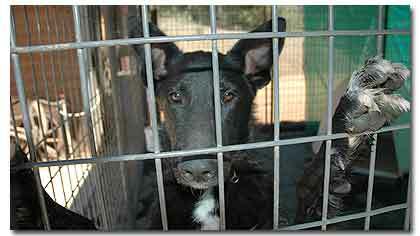 Poor guy started off life in a small pen and eventually found his way into the Amador County Animal Control's shelter. 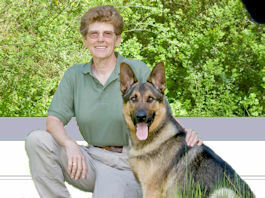 His high drive and energy level made him both a great dog and a challenge to start training. But his great nature can through and he learned his lessons well. 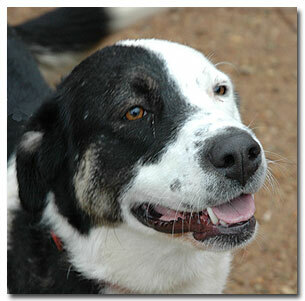 He is very social and loved to play and be with both people and the other dogs. So good luck, Bailey! Be good and enjoy your new family. Maybe we'll get to see you again in a group class or a visit. One of the happiest duties a webmaster can have is to add to this page. Especially for dogs like Noel. She is a sweet little girl that truly deserved a second chance. She has gone from a scared unsure little girl to a very happy and lucky companion. She was so happy to be along with us at the Strut Your Mutt dog walk that it made us all smile and laugh. Now she has found her home. And that's what this program is all about. Goodbye Noel, I'll miss you! 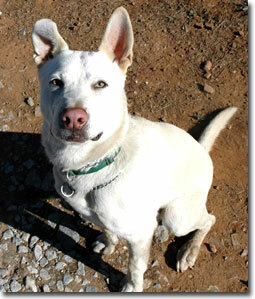 Dino, our super prodigy dog, has left for his new home! The stars were aligned for him because he found a wonderful place where not only will he be loved and well cared for, but he's also in the country so he'll be with other animals. Goodbye, Dino! You tried hard and the week you were here was way too short. But you have a dream home now and it is well deserved! Little Lucky graduated and found his new home. 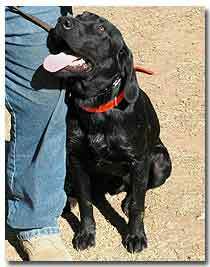 He came from the folks at the Calaveras Humane Society with a great attitude that surprised everyone. His testing went very well and he just thrived and blossomed with the training and attention. Every day was a new discovery for him and he always had a happy tail wag and greeting for anyone that would stop by his kennel. So, congratulations to our little Lucky boy! And be good and do well in your new home. You'll always be special to us! 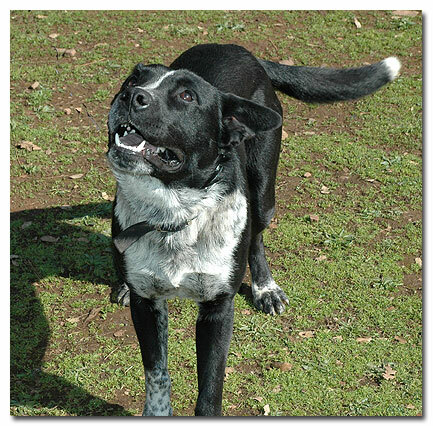 Dante is a very lucky guy that the folks at Amador County Animal Control thought would be a good candidate for school and a second chance. They were right! Dante was truly an eager guy and a pleasure to work with. All he wanted to do was please and he always had a happy tail-wagging greeting for everyone. We'll miss him; good luck Dante! 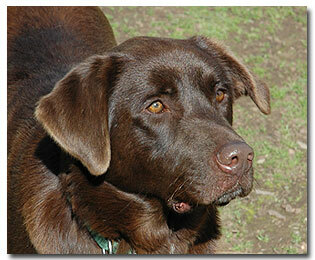 Bear lived at the Amador Animal Control shelter for six months before coming to us. The folks there knew that under that wild exterior beat the heart of a truly good guy. Well, he proved that to be true during his stay with us and now has a new and wonderful home. His new owner loves him very much and that's all he ever wanted. We will miss our big goof ball and happy boy! Bo came to us from a situation where he lived for the last three years in a small pen with a five gallon bucket of water and a pail of dry food. That's it. But he was such a happy guy and after all that he still just wanted to learn and be loved. Congratulations Bo! Be good and enjoy your new home, you earned it. 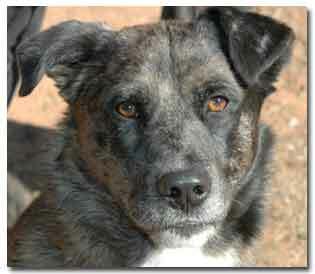 Little Zena came to us in May from the Calaveras Humane Society. She was very unsure, having bounced between a couple of different shelters. But she was a sweetheart and her personality came out with gentle attention and training. 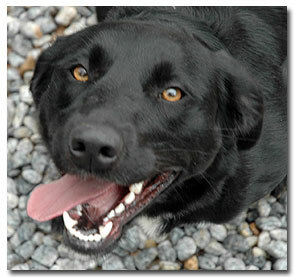 After a difficult start she finally found her forever home thanks to the efforts of the CHS. Good luck, Zena! Gunner came to us after being stuffed into a night drop box. He did great and left for his new home on Saturday, 4/30/05. He is a great guy we miss him. Update 6/6/05 - Gunner and Debbie came to the ranch for a visit today. They are doing just great! 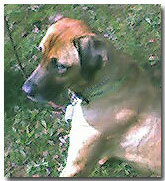 Gunner has been spending time camping, hiking and relaxing at home with Debbie and her other dog, PC. It was super seeing them again and very motivating to see what good can come from a little time and patience. Thanks for remembering us and stopping by! Nickel was our first graduate in 1998. He was rescued from a badly neglected and abusive situation. But with love, care and training he left a star!